It's time for the third installment of the Occidental Derby; the contest pitting ECS FC's two Seattle-based coed indoor teams (King St and Brougham) against each other. Whoever wins this round grabs bragging rights as the teams have each won one of their previous two encounters, with an equal goal differential to boot (soccer pun). That equal record is a compliment to the teams' managers who sought an equitable split when the two teams formed out of the pulsating mass that previous was one large and growing indoor squad. It's not just head-to-head where the teams have performed similarly, they've shadowed each other in the standings all three seasons. That proximity has lent an edge to the otherwise friendly in-house rivalry. Make no mistake, both teams are made up of ECS diehards so wanting to win and competing hard are wired in everyone's DNA. Returning to the teams' original level this season, King St got right back to the winning ways with victories in their first two. They suffered their first non-result last Monday in the second half of a double header, always a difficult task. That loss was to the team currently leading the league with four wins and one loss. The one loss for that pace-setting team? It was at the hands of Brougham ECS. Brougham began the season with two close losses but has now found their form and rattled off four consecutive wins, three of them against teams in the top five of the table. 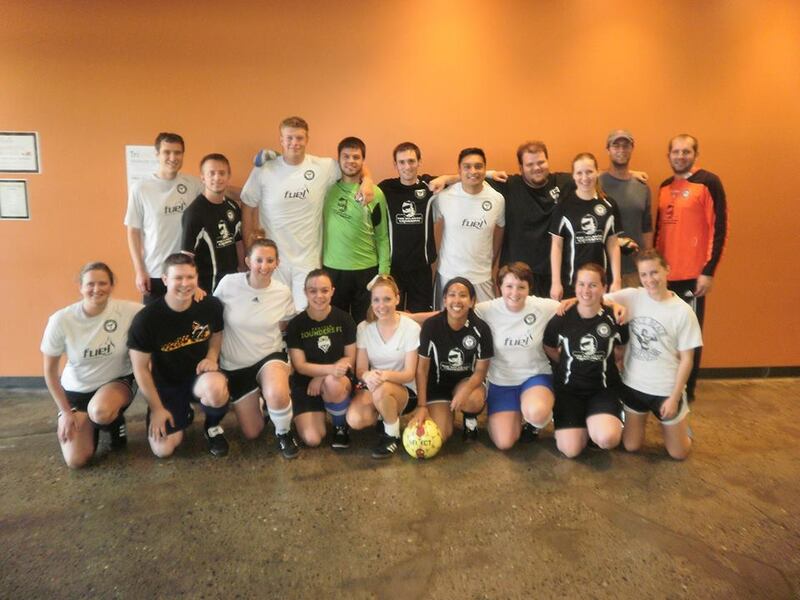 The two Seattle indoor teams have been a microcosm of ECS FC as a whole. They began as one team but generated so much interest and fervor that multiplication into two teams was necessary. And where they began with humble hopes, both teams have improved to challenging for league titles and flirting with promotion. As the two teams have started to solidify their rosters, they're starting to implement new formations and tactics and even have begun some advanced stat tracking. While the derby has been, and will continue to be, a hard fought contest on the pitch; the players don't lose sight of the ultimate goal of helping everyone (in ECS) improve. The derby match will be held on Monday, September 30th at Arena Sports' Magnuson facility on the southwest field beginning at 7:20pm. As always, there is beer available at a very reasonable price! ECS Women vs Joans *Cancelled due to inclement weather. ECS FC Blue looks to pick up their second win of the nascent Fall GSSL season this Sunday as they take on FC Spare Tire. Blue enters this game having won their season opener last Sunday over Hello World FC. George opened the scoring with a lovely goal from a direct free-kick, and in the closing stages of the match Basim tacked on the insurance goal to ensure a 2-0 victory. 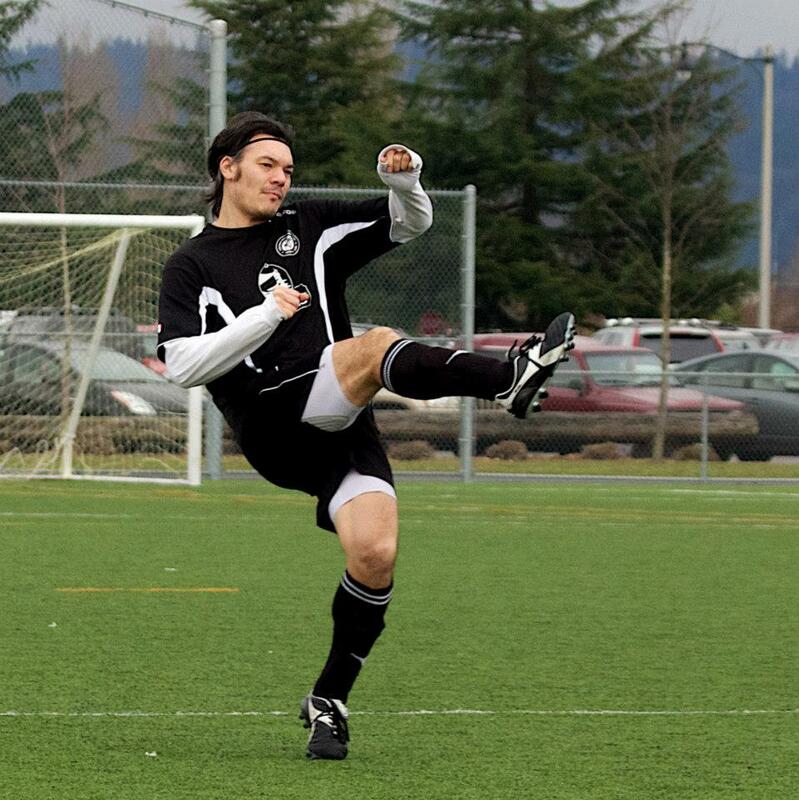 Tim also earned his first clean sheet in GSSL Division 3. FC Spare Tire (fcsparetire.com) won their opener in convincing fashion, 6-0 over Sea-Town United. Last year's match against Spare Tire was a memorable one. George suffered a broken nose, Blue was on the end of an unfortunate refereeing decision to allow a penalty to be taken before the goalkeeper was set, and the match ended 3-2 in favor of Spare Tire. Of course, neither team shies away from internet banter, so the talk didn't end when the two teams walked off the field. Needless to say, this has been a rematch that Blue has been awaiting for some time, as this loss was one of only two that they recorded in the Summer GSSL season. We hope to have you out to support ECS FC this weekend! With the Sounders game on Friday night instead of Saturday, surely there can't be any excuses not to get up early and come out to Twin Ponds, right? Directions can be found here (https://maps.google.com/maps?q=1st+Ave+NE+and+N+149th+St%2C+North+Seattle%2C+WA). You asked for it and now it’s here! 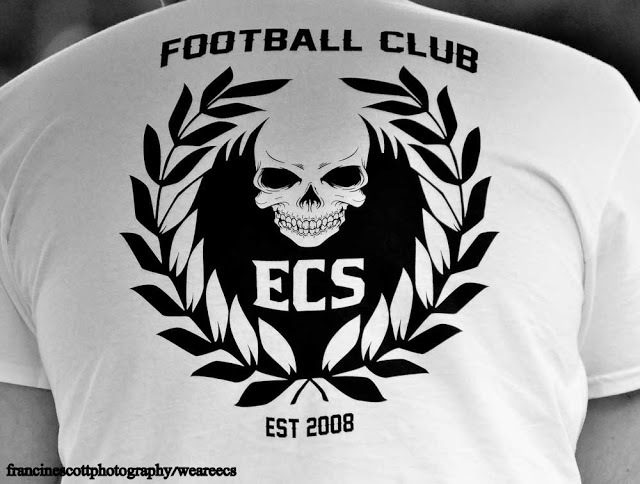 ECS FC is proud to offer the new white tee with our Crest on it that you saw the ECS vs. TA match. This is a white t-shirt with the Crest on the left front chest of the shirt and the simplified crest displayed in full across the back. This shirt is a fundraising effort to pay for things like game balls, practice equipment, medical kits, etc... As always we appreciate your support in helping make this club run and wanted to offer something tangible this time. This shirt is the same style and sizing as the ECS Membership shirt. The shirt is being offered in Men’s and Women’s sizes S-3XL. This is a limited run and once they are gone they are gone. So order early before your size is out. If you have any questions please feel free to email us. You can find them in the ECS FC section of the ECS store here. Again thanks in advance for you support!